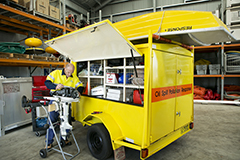 The supervision and handling of dangerous goods is carried out in accordance with the relevant Acts, Regulations, Codes and Guidelines including Part 11 of the NSW Dangerous Goods Regulations 1999 and the associated Australian Standard AS3846-1988, utilising suitably trained personnel. 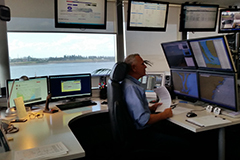 Port Authority (Newcastle) has separated the Dangerous Goods legislative monitoring and control into three different notification categories. 48 hours prior to entry into the port or 48 hours prior to dangerous goods entering the port area by road for export the following is required. The vessels Principal Agent is required to apply for a notification from Port Authority. The notification must include UN number, class, packing group, subsidiary risk, the proper shipping name of goods, the type of packaging, consignor and consignee. 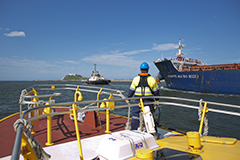 For any maintenance works to be performed on board a visiting vessel a notification must be sought from Port Authority (Newcastle) by the master of the vessel through the vessel’s agent. Under no circumstance may hot work (welding, grinding, oxy cutting) occur on board a vessel until the repair work to be done is inspected by Port Services personnel prior to permit approval. Note: this is audited for compliance. Bunkering is a term used for the refueling of commercial vessels. However Port Authority (Newcastle) groups bunkering operations with transfers of fuel oils, waste oils, bilge waste, sludges and the loading of vegetable oils. A notification is required for any diving operation undertaken within 100m of any fairway or channel. 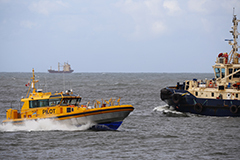 The completed form must be provided to Port Authority (Newcastle) Vessel Traffic Information Centre (VTIC) at least 24 hours prior to the dive. Click here to access the Diving Notification form.